This one will be awarded at the beginning of February. The winning crew will reign triumphant through to the end of March 2018. Last time we had a real good competition so let's get right back to it! Starting now you have 2 weeks to submit your entry. If you're not online here in those two weeks, tough luck. at least four crew members in the best scenic shot you can get. So basically we're looking for a scenery shot with your crew in it (min 4 members). 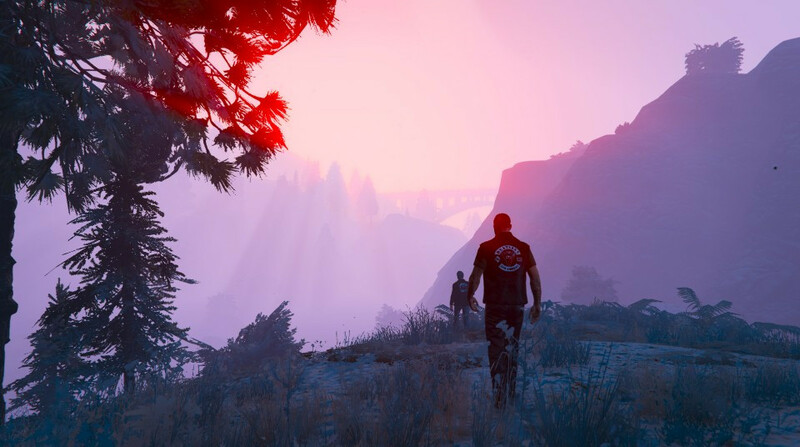 Please provide the Social Club link to your photo submission to validate it's from your crew and taken after this post. Get inventive folks, you can't use mods or photoshop the pic but you can take the photo anywhere, even in jobs. You may use Rockstar Editor if available. Use the fog/rain/sunrise/sunset etc. We want it to look like something you'd hang on the wall. 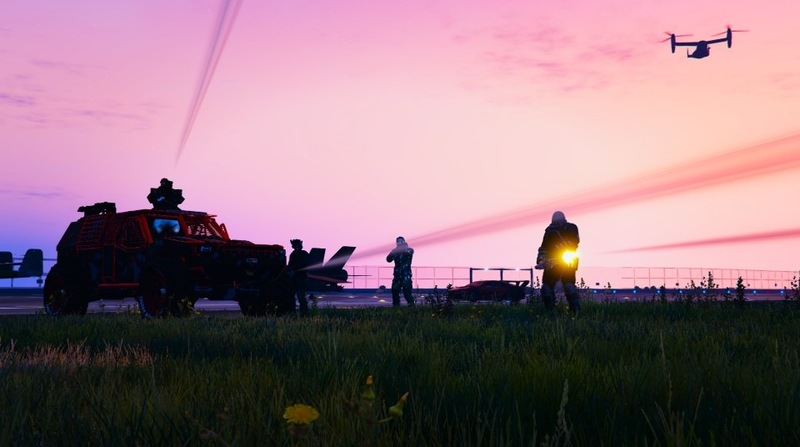 One Snapmatic entry per crew. You may post more for entertainment but make your chosen pic clear as your entry. If you've posted more and not marked your entry, only your first will count. 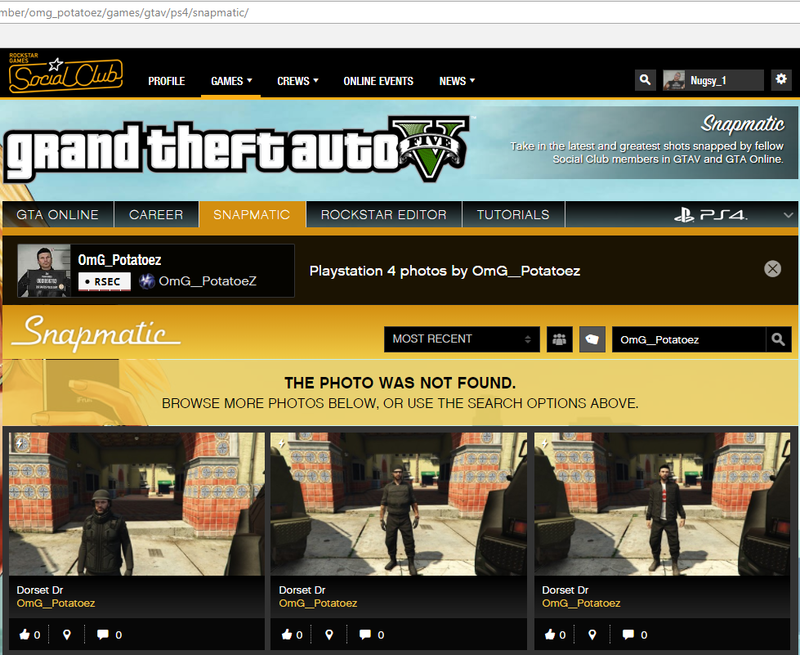 The Snapmatic must be as hosted on Social Club (no editing). It must include at least four dressed up members. No use of mods / modded / glitched outfits on any platform. If available you may use Rockstar Editor. The picture MUST be posted here in this thread, no later than Wednesday 31st January. Please help us verify it's validity by providing the social club link. ... This means that the PC's superior graphics mean nothing here. A good pic is a good pic in whatever resolution. We all know the limitations of last gen and we will take this into account. It's just here as an example, though we can't have snow now and there's only two members in this one. Ineligible for the member count and it was taken before this was announced. Good luck and have fun snapping, my dudes and dudettes. Good luck have fun everyone, may the best photographer win! Oof, well, when I take scenic photos, I don't tend to put people end them, but I'll try for the sake of the COTM spot! *Edit after about an hour of trying, here is my attempt! I assume this is scenic..
*Edit 2 after about 45 minutes of trying, here is my second attempt! I hope this qualifies, as I don't think you'll find AI flying Valkyries in this location.. However, I spy a problem elsewhere - That I only see one person in the shot. "At least 4 crew members" is required. Nice pic though! I'm also glad that Restless MC (my crew) weren't the first to enter. We have 32 photos to whittle down to our favourite.... Coming soon. ^ Yeah I get it but the photo is possible with one. PS: Our pic should be here by the weekend, we're gonna shoot one this Saturday. So does it matter if all of the people in the photo are in cars? Ive got one but you can only see peoples heads. We need to be satisfied that they are friends, not NPCs. Ideally we want to see people that are clearly players. Also the pic is to be taken specially for this, so "I've got one" is fine if it was taken after this thread was posted. I see you've edited in a link but it does not show that photo. What platform do we look on? Only PS4 shows any, but not that one. Ok then. We took two photos just in case that would be a problem. Ill post it here in a min. Hi just wanted to know whether we can edit it and make shadows of the members will that be counted or not thanks! I think you can only use R* editor for editing. No editing software outside the game. Im not a staff member here but from what ive read this seems to be the case. If you can make shadows with the R* editor then I don't think that will be a problem. How exactly do you make shadows in the R* editor? I didn't know you could do that.